Was kind of busy with personal life that’s why the post are not as frequent. Anyway, I will be moving on to Kyoto. Kyoto once being the Capital of Japan is very well known for its temples and shrines. Kyoto has seen multiple wars and fires but during WW2, this city was spared from being a target for atomic bombing due to its historic values. 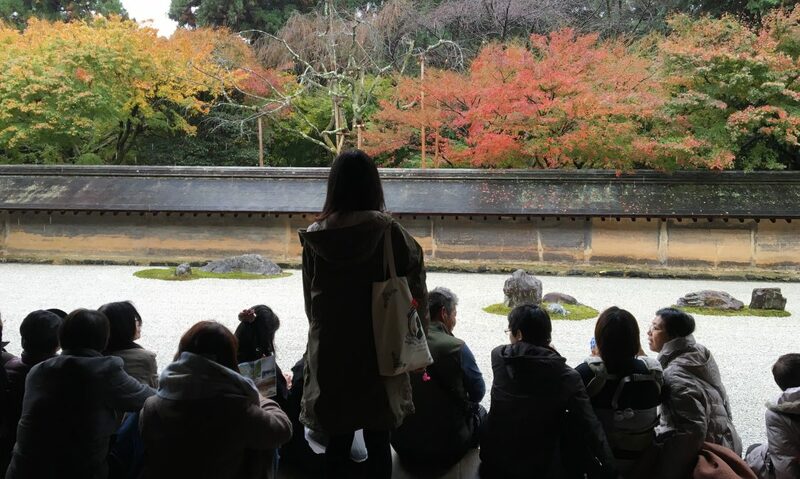 What to see/do when you are in Kyoto? My 1st choice for Autumn would be to visit Arashiyama. It is accessible by train/ tram. If you know Kyoto well, most of the sites can only be visited by buses. You can also visit them by cycling. I prefer train as there are a higher chance that I could get on board as compared to bus. Arashiyama is on the Western part of Kyoto. When visiting Arashiyama, you can either spend a day trip or half day depending on your interest. Arashiyama has many temples to visit from Tenryuri to Nison temple and many more. All of them have their own unique ways for those who can appreciate culture and show their beauty. Without any delay, my first stop at Arashiyama would be Tenryuji. Tenryuji has been ranked first in the top 5 zen temple in Kyoto. This temple was built since 1339 by ruling shogun, Ashikaga Takauji. It was built to dedicate the Emperor then. Takauji san was going against the Emperor during the rule and as a way to appease the deceased Emperor’s spirit, he decided to build this temple. Over the years, the temple buildings went through multiple fires and countless rebuilding. On the other hand, the garden was well preserved for centuries. This garden features a central pond and pine trees as well as forested Arashiyama mountain. By paying 500 yen, you will get to visit the garden and extra 300 yen, you will get to visit the temple building. I was totally awed by the view. Who could expect to see such a beautiful garden so well preserved? My first close encounter with Autumn leaves in Kyoto. Climbing up the stairs for the view from the top. It will only do justice by taking pictures of these leaves over and over again. Lol. I am bad at selfie and probably my look would spoil the image of the nature. Tenryuji is connected to the Bamboo forest and many tourists would choose to trek through the forest. It is best to choose days that are less crowded if you want to take a picture with no one in it. During Autumn, I believe its impossible to find such time frame even if its on a weekday. The air in this forest is really refreshing. Do spend some time here if you want to have a feel of “bamboo” air. lol. By following the path it will lead you to Okochi Sanso Villa. By paying 1000 yen, you will get to visit the the villa once owned by a popular actor Okochi Denjiro (1896-1962). They do have many buildings and gardens for visiting. It should be around 10am and its really bright in Japan. Love the view and peace here. Not many visitors unlike the crowd at the bamboo forest. By continuing down the path, more autumn trees!!! With the ticket to the villa, you are entitled to a cup of Ocha (Japanese green tea) and a snack. It is a good place to take a rest after walking from the entrance of Tenryuji.